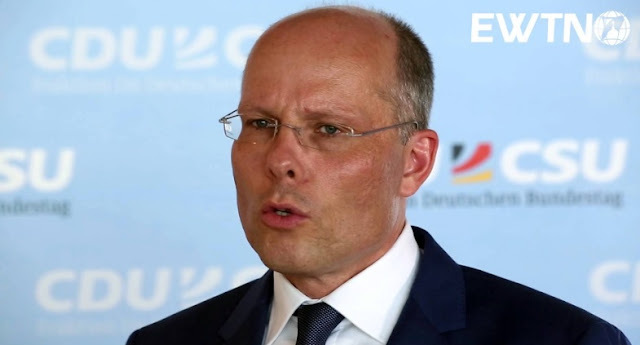 The German deputy of CDU party of Merkel, Peter Beyer, was straightforward during his visit to Belgrade and Pristina, where he once again stressed that the official Berlin is opposed to changing or correcting the borders. But what has caused more shock in Serbia was the strong statement of the German lawmaker that Serbia cannot join EU without recognizing Kosovo. Serbian media have considered this "cold shower for Belgrade", because no other European politician has said so openly articulated such a request. The stance of Merkel's deputy found unprepared the Serbian politicians who have not provided any answers so far. Beyer was the first in Belgrade to publicly link the normalization of relations between Kosovo and Serbia, with Serbia's EU membership, says Dragan Djukanovic to DW, vice-president of the Center for Foreign Policy. Analysts are of the opinion that Belgrade will increasingly insist on redefining or correcting borders between Kosovo and Serbia and will give up the previous demands for non-recognition of Kosovo independence as a condition for normalizing relations between Pristina and Belgrade .